Saad Anthony Baksh, BSc, Assistant Regional Manager at The Maritime Financial Group’s South Regional Centre, has been named 2018-2019 Co-Chair of the Million Dollar Round Table (MDRT) Ambassador Programme. In this role, Baksh oversees the programme, which develops impactful presentations to communicate the MDRT value proposition to members and prospective members and companies. Baksh is an 11-year member of MDRT and the first in the West Indies to serve in this position. Prior to this appointment, he served as Divisional Vice President for the Membership Communications Committee of MDRT which was another first for a West Indian. 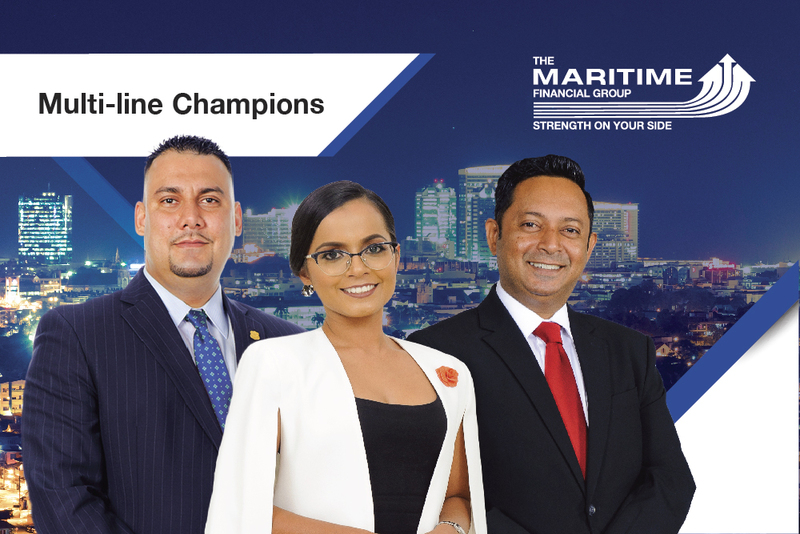 In addition to his MDRT achievements, Baksh has also won Maritime’s Unit of the Year award (2013, 2014, 2015 and 2017) and is one of the consistent top performers in the company and in the profession. He is listed as one of the top speakers recommended by the Caribbean Association of Insurance and Financial Advisors (CARAIFA). As Co-Chair of the Ambassador Programme, he works with the Executive Committee liaison and MDRT staff to build and develop a team of MDRT representatives and speakers to deliver corporate messages in different events and meetings around the globe. The Ambassador Programme has enabled MDRT to extend its reach and influence to those who strive for long-term success in the financial services profession. Founded in 1927, MDRT, The Premier Association of Financial Professionals, is a global, independent association of more than 66,000 of the world’s leading life insurance and financial services professionals from more than 500 companies in 72 countries and territories. MDRT members demonstrate exceptional professional knowledge, strict ethical conduct and outstanding client service. MDRT membership is recognized internationally as the standard of excellence in the life insurance and financial services business. Please join us in congratulating Saad on this excellent achievement.